What a nice card for someone to get and to be encouraged by! What a super pretty card, Em. I love the floral and you always seem just how to put it all together to really catch the eye. Thanks so much for sharing your talents with us again this week. I look forward to seeing more of your art, and I wish you God's richest blessings. Such a subtle and sweet background. 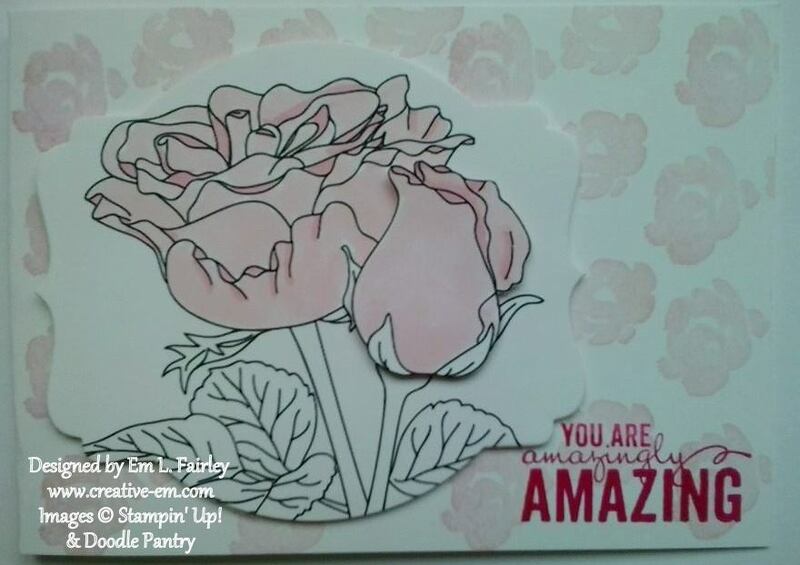 Thank you so much for taking time to post your very creative art with us this week at Word Art Wednesday, in our 195th challenge. This is gorgeous and love the soft colour palette. I understand that you like this image..It was beutiful! You have made a great card as well and like the sokt and Bright colours ! !